Super Star Mahesh Babu’s Brahmotsavam is doing record pre-release business, thanks to his previous combo with director Srikanth Addala Seethamma Vakitlo Sirimalle Chettu, and his recent blockbuster Srimanthudu. 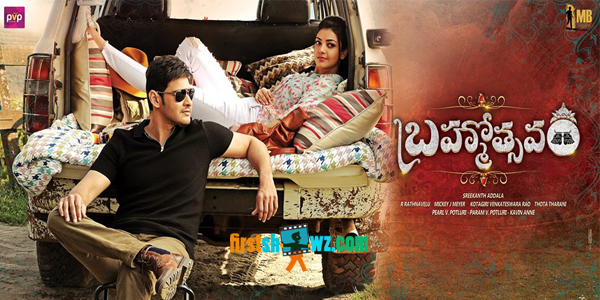 If the buzz is to be believed, Brahmotsavam has already done a pre-release business of around 100 crores. Andhra Pradesh and Telangana distribution rights are sold out for 50 crores, while Karnataka, Tamil Nadu and Rest of India rights are sold out for around 19 crores. The audio and satellite rights are sold out for 20 crores, and the overseas rights are sold for 13 crores. Brahmotsavam casts Kajal Agarwal, Samantha and Praneetha as heroines, and the family entertainer is produced by PVP Prasad on PVP Cinemas banner. Music is by Mickey J Meyer and cinematography is by Ratnavelu.